This is a partial preview. Full document is 94 pages. View large preview. Incorporates a novel and very effective structured tool for boosting multicultural harmony and synergy in organizations and countries. This guide / manual for businesses and governments presents a structured new approach to multicultural harmony and synergy. It defines the culture profiling pyramid similar to the business strategy pyramid, and focuses on the advantages of having the overlap area of the diversity of cultures on the operational level of the culture pyramid, this for more effective integration of minorities and migrants in a new living and work environment. Furthermore, it boosts peaceful coexistence but indeed synergy of a mix of cultures in any setting in the world. Based on the fresh perspective of the operational level, the guide presents very specific and useful tips to governments and businesses for reaching high levels of multicultural harmony and synergy. This structured approach to multicultural synergy uses tools and concepts that are very familiar to the business and management world, and is therefore very easily digested and applied. Author is multicultural and multilingual, and has lived and worked in many countries West and East, North and South, and fluctuates currently between London and Dubai. He has been exposed to many cultures and has worked in a number of multicultural settings. He has worked extensively with international donor organizations such as UN, EU commission and many NGOs in many countries. 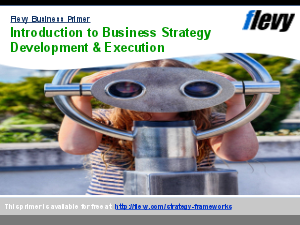 He has a very strong background in management and business consulting, including private and public sectors, and is applying his system thinking and strategic capability in this guide.